SINGAPORE: Part-time supermarket cashier Rozaini and her husband, who works as a driver, earn a combined income of S$2,000 a month. That money has to support them and their four children, aged between four and 19. Their oldest son is currently undergoing national service, while the second and third children are in primary school. The couple pay $500 a month to rent their two-room flat, spend $800 on groceries and need another $100 for the medical expenses of one son with a skin condition. That takes up the bulk of their income. In spite of this tight financial situation, Rozaini hopes to send her schoolgoing children for private tuition. She and her husband are both looking for a second job. Rozaini also sells clothes online, which brings her about $100 in extra income monthly. “I just want my children to have a chance to be better than us. They need to get better jobs than what we are doing, and earn more money,” she says. Rozaini and her husband completed Secondary Two and primary school, respectively, and want their children to attain higher educational qualifications. Households such as Rozaini’s have come under the spotlight in recent weeks as discourse heats up on the concept of upward social mobility — that one can achieve a better socio-economic status than that of one’s parents. In Singapore’s meritocratic system, it has traditionally been a point of pride that anyone with some talent and the willingness to work hard will get ahead. Increasingly, however, this concept is being challenged. Read more in The Edge business newspaper here. 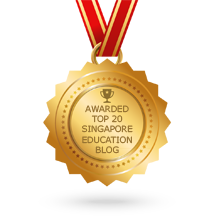 Website owner Steven Ooi, a First Class Honours grad from the National University of Singapore, retired from a distinguished 14-year career as a GP and English tutor in 2016. He continues to blog on issues of concern to General Paper and student life. GP or English tutors (including part-timers) keen to be listed on this website (consistently ranked top 10 on Google for GP tutor/ tuition searches) as a Recommended Tutor, please email stevenooi18 @ yahoo.com (remove the spaces). Tutors in other subjects interested in having links to their website are also welcome to contact him. This entry was posted in Recommended Articles and tagged best gp tutor, english tutor wanted, gp tuition, gp tutor wanted, singapore. Bookmark the permalink.